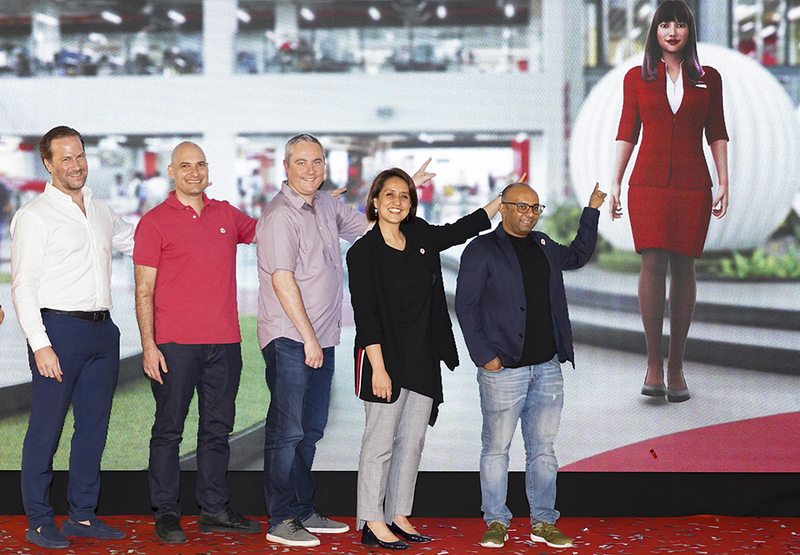 AIMED at delivering a more seamless and user-friendly experience for guests, AirAsia unveiled its website and mobile app facelift, which includes a chatbot named AVA (AirAsia Virtual Allstar) powered by artificial intelligence. The app currently records 3.3 million active users monthly. The deputy group CEO (Digital, Transformation and Corporate Services) Aireen Omar said, “We are excited to welcome the new year with our new-look website and app that features AI and boasts a better, faster, more intuitive experience. New homepage designed for easier and faster navigation, including upcoming flight notices, search shortcut and recent searches, links to the best hotels, travel, duty-free shopping and activity deals, recommended destinations and link to BigPay, AirAsia’s money app. AVA, an AI chatbot available on the new live chat feature to respond to guest inquiries instantly and currently speaks eight languages - English, Bahasa Malaysia, Thai, Bahasa Indonesia, Vietnamese, Korean, Simplified Chinese and Traditional Chinese. AVA was built by the AirAsia Software Engineering and Technology (AASET) and Customer Happiness team using technology from Ada, a Toronto-based company that specialises in AI-powered customer experience. New flight search with map enabling iOS users to choose where to go using an interactive map that pinpoints all AirAsia’s destinations in a single page. This feature is the first among airline apps. Combined Station Picker which is a first among airline apps allowing iOS users to select the nearest departure and arrival airports and filter by number of stops and flight duration. Voice assistant for iOS users to check their upcoming flight status simply by asking Siri. To use this feature, users just need to click the “Add to Siri” button under Flight Itinerary or My Bookings. FACES enrolment for guests to clear security and board flights seamlessly by enrolling to AirAsia’s Fast Airport Clearance Experience System (FACES) on their mobile app. Upon clicking on ‘My Account’ and ‘My FACES’, the app takes a 5 seconds video of your face. According to AirAsia, most of the features are rolled out on iOS first since it comprises a large majority of its mobile app users. However, the same features will be made available for Android users too in the coming weeks. By entering the promo code MOBILE19, AirAsia mobile app users can enjoy 19% off bookings made via the app from Jan 28 to Feb 3, 2019 for travel between Aug 1 and Nov 30, 2019.